Warren began riding off road motorcycles in the 1970’s and was involved competitively riding enduros, eventually reaching the expert level and even rode the International Six Days Enduro representing Canada. He was also a shop owner of Warren Sports, where he regularly held an Open House with tech clinics as well as producing a monthly newsletter including maintenance and tuning tips. Warren was a multi-time organizer of motorcycle events including the ISDE Qualifiers. However, his biggest contribution to the sport is as a builder. After 33 years in the automotive industry, Warren retired to become completely immersed in the motorcycle world. He envisioned a future of organized, paid trail rides in Ontario starting in 1987 with OCMC’s Algonquin 2-Day. As the concept of organized trail riding caught on, Warren saw the need for a provincial organization to represent off road riders’ rights and along with several others, founded the Ontario Federation of Trail Riders (OFTR) in 1992. This totally volunteer organization became the voice of off-road riders in the province and remained a volunteer organization until 2004. At that time government and industry funding allowed OFTR to hire its first employee. This gained the group tremendous credibility with government bodies and they were able to establish land use agreements throughout the province. The OFTR Trail Ride Series was established and the OFTR continues to ensure off-road riders have access to some of the best riding areas in the world. 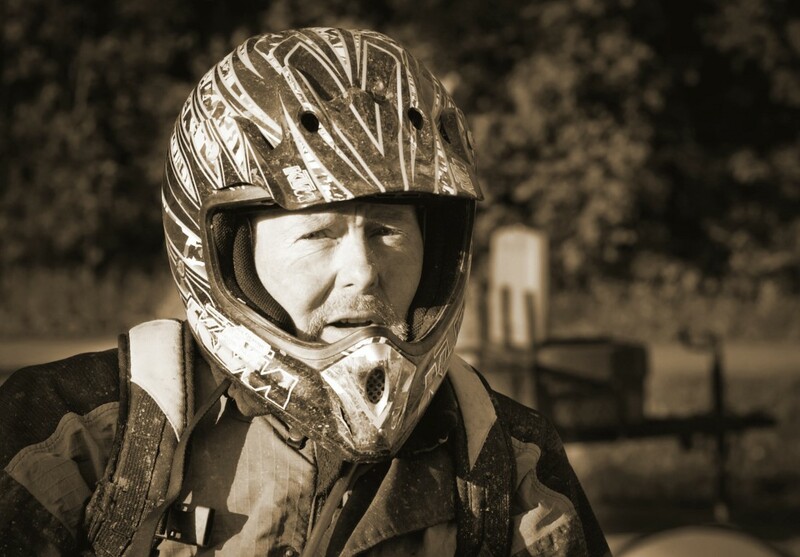 Warren wanted more people to feel the joy and challenges that the sport of off-road riding presented but felt that off road riding was a difficult sport. Upon retirement in 1994 along with Dan Ryan, Blair and Toni Sharpless they started an off-road rider training and tour outfit on the edge of the Ganaraska Forest in Ontario. The original name of Blair Sharpless Trail Tours and Dirt Bike School, became simply “Trail Tours” when the business was sold to Steve Weykamp. Trail Tours is still in existence allowing thousands of Canadians to try off-road riding every season. In 2001, during the dawn of handheld GPS in Canada, Warren was approached to join Rally Connex, an existing motorcycle support company. Inside of Rally Connex, Warren and Ed Strohak were instrumental in getting the concept of GPS self-guided tours and events to be accepted by off-road motorcyclists. Rally Connex still exists today, offering a host of GPS guided tours and events every riding season. Warren has always been the consummate trail rider – besides riding, he enjoys cutting single track trail. Very little single-track motorcycle trail existed in Ontario until Warren made it popular. Over years of building trail, Warren has developed the experience to build fun, sustainable trail in varying terrain. If you are riding single track trail in Ontario there is an 80% chance his “fingerprints” are on it. This love of trail building and trail riding soon expanded into club building and the idea of club volunteerism. Warren’s tireless promotion for the creation of clubs made him instrumental in the formation of many officially chartered off-road clubs in Ontario. Once formed, these clubs would grow the sport in their local area, cut trail and host events. In 2000 & 2008, Warren organized a Canadian ISDE Rider Reunion and was also responsible for organizing charity fund raising events such as “Megs Ride” a ‘woman’s only’ trail ride. Getting others involved lead to Warren’s involvement in organized off-road travel. This lead to the idea of Cliffshore Adventures, a company that would bring off-road riders from Canada to travel Baja Mexico, Las Vegas or British Columbia and in 2005, he began what would become an annual adventure to the Baja Peninsula for smaller groups of Canadian riders. Many riders count their best days on a bike while participating in events that Warren envisioned and executed. Warren continues to shape the future of off road motorcycling in Canada.